Note: The bulk of this appeared in the Evening Echo on August 2. The two most successful clubs in Cork senior hurling, Blackrock and Glen Rovers (32 and 26 titles respectively), have fairly similar jerseys. The Rockies wear green and gold hoops while the Glen don green, gold and black hoops, and, by and large, one or both have changed when they have played. For much of the 20th century, the rule in Cork regarding clashes was that the older club could retain its first-choice jerseys, forcing their opponents to change. As a result, Blackrock (formed in 1883) would stay in their famous hoops, while Glen (established in 1916, with the black hoop representing those who died for the cause of Irish freedom) would use the equally famous black and white hoops of their sister football club St Nicholas. Four county finals saw the sides paired in the 70s, with the usual green/gold v black/white in the 1973 and ‘75 deciders. By the time both made it back to the final a year later though, the Glen sought to be allowed to wear their usual colours. They argued that the new set of jerseys purchased had wider hoops, allowing easier differentiation, and they offered to wear black shorts too. The county board’s general purposes committee refused this request, however, and so the Glen ended up investing in a ‘proper’ set of change jerseys, gold with black and green trim, the look set off with black shorts. It didn’t do them any harm, anyway, as they avenged the loss of a year earlier. The club’s last final meeting of the decade was in 1978. Again, the Glen were in the gold and black strip but this time Blackrock had to wear an alternative too, the ‘older club’ rule having been dispensed with. 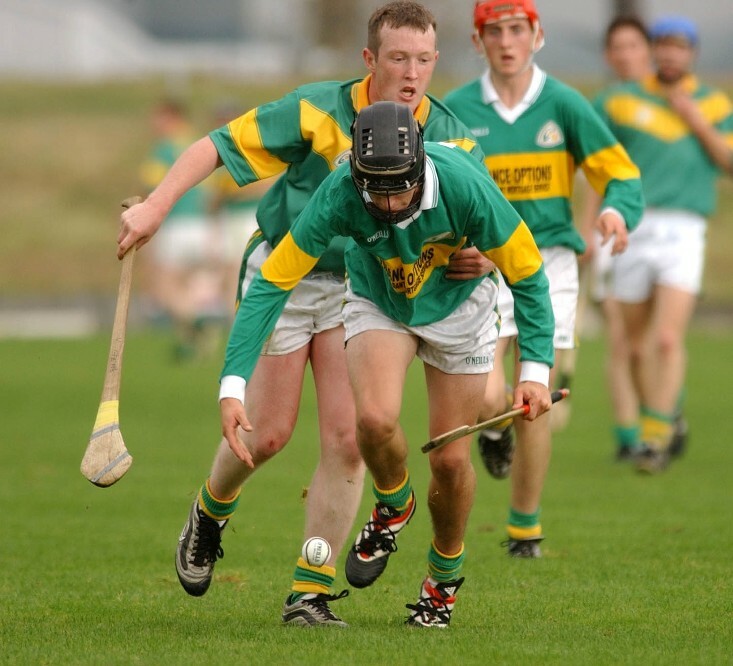 The Rockies, captained by the recently-deceased John Horgan, regained their title wearing Meath-style green jerseys with gold collars and cuffs. While the 1990s weren’t that memorable for either club, they did meet in the 1998 semi-final and it was the same configuration, green against gold. This would be the case again in 2004, but in ’08, while Blackrock were again in green, the Glen turned out in their normal shirts and black shorts – the look they hadn’t been allowed use in ‘76. For the 2014 senior quarter-final against Ballymartle – the same colours as Blackrock – the Glen used another different arrangement of their hues. This time, it was effectively a Kerry jersey, green with a gold hoop, albeit with black sleeves, as Ballymartle wore black with green and gold trim. Which brings us to the recent county U21 championship meeting with Blackrock. In advance of the game, both clubs had been informed that change jerseys would be needed and neither had a problem in wearing them – the only problem was that they were too difficult to distinguish. With Blackrock having entered into a sponsorship deal with Mater Private in recent years, their logo was applied to the green jerseys, but on a gold patch, increasing the similarity between them and the Glen’s change offering. In real terms, the black sleeves were the only real difference. We weren’t at the game, so we don’t know if any, or many, passes were misplaced by the players, but spectators who were there said that visibility was far from ideal. Fingers crossed that, if the clubs’ paths cross in the senior championship, the issue will be dealt with in a more optimal way. Oh, and, given that it’s the GAA, we couldn’t finish without an obligatory pic of on occasion when there was no change of jerseys.